Instagram is one of a kind social network - it’s not only an easy way to stay in touch with friends, it’s also a fun way to create a documentary of your own life, with numerous filters and features to make even basic mobile photos look like professional shots. No wonder why millions of people from all over the globe use it everyday and can’t imagine their Internet experience without it. Instagram simplicity and uniqueness made it popular also among many celebrities who in different approaches contact with their fans and express themselves. Some tend to only promote their music, some share intimate moments and exclusive photos. We’ve decided to sum up most followed Instagram accounts of 2016 so far into a list, and of course the top places were taken by celebrities with enormously huge fanbases. However, popularity of their art is not the only factor they’re so popular on Instagram, take a look at our Top 5 to learn more! 5. The fifth place takes Beyonce with 63 million followers. Queen Bey’s Instagram profile resemblance a profile of almost every single regular user - she posts a lot of selfies, adorable photos of her daughter Blue Ivy trying on the mother’s makeup, pics of her husband Jay-Z and her having a dinner on the couch and them wearing costumes. 3. The third place belongs to a famous reality TV show’s star, tabloids’ fave, model and designer, Kim Kardashian, who has 63.6m followers. 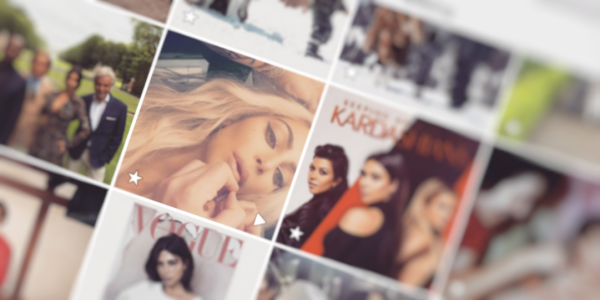 Kim K’s Instagram is exactly what you expect it to be: lots and lots and lots of flawless selfies (some are even taken for her by the special hired team! ), photos from magazine photoshoots and fancy parties, promos of her very own app, occasional photos from vacations and family functions, and of course pics with her sisters and husband Kanye West. American popstar and Disney Channel actor Selena Gomez is the most popular Instagrammer with more than 69.5 million followers, who enjoy her snaps from photoshoots and casual selfies. You can download photos from Selena’s Instagram and from profiles of other celebrities listed with 4K Stogram instantly and fast! All you need to do is to download and install 4K Stogram at 4kdownloader.com, login to your Instagram account within the app and choose the accounts you want to get photos from to your computer. It’s as easy as it sounds, try it out!